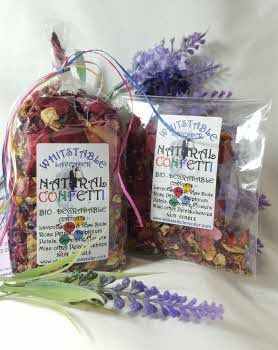 Our Natural Wedding confetti is made from real natural petals and is now the most popular choice for throwing at weddings. 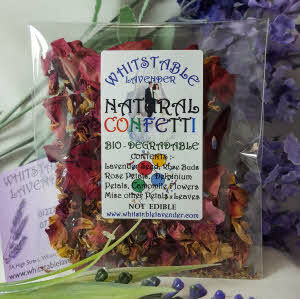 Many venues now ban paper and other non-biodegradable confetti, but dried flower petals, buds and dried Lavender seeds are 100% natural and biodegradable. Contents : lavender flower buds, rose buds,rose petals,delphinium petals, camomile flowers & other petals. Ideal for any Wedding venue. 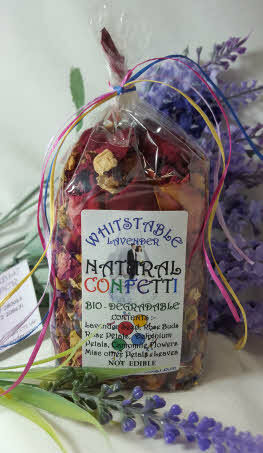 Wedding Confetti at its best!